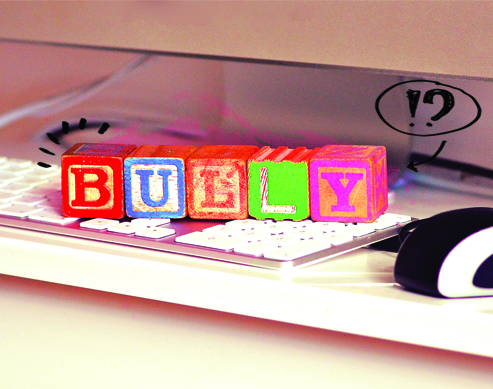 Could You be a Bully? Find Out and Fight It! It's not too late to change for the better. Do you sometimes find yourself saying things like these? "She thinks she's so pretty but she's not!" "That dress makes her look fat." In girl world, body-shaming, backstabbing, and gossiping are everyday occurrences. The power of girls to hurt with carefully selected words is so well documented in pop culture that bullying is accepted by some as a part of life instead of something that can be prevented. Everyone is fighting a battle you may not know everything about. That girl who desperately needs to go to a derma? Maybe her family is struggling to put her through school. Try not to assume something about someone. We're all just trying to get through the day the best way we can. Are you the kind of girl who posts a mean comment on someone's IG selfie or makes fun of your blockmate's shade of red lipstick? You're better than that. It won't achieve anything positive and will only serve to make someone feel bad. Why bother? You have better things to do. Everyone (including you!) has quirks. It's what makes you so uniquely you. If everyone conformed to what's popular, the world would be such a boring place. Respect differences and get to truly know people. Limiting your world view will make you miss out on so much that life can offer. 4 Live by the words "to each her own"
You like staying home and reading a book by Rainbow Rowell while she likes partying and dancing to Alesso, but that doesn't mean you're better than her or she's cooler than you. Everyone has her own preference. Whatever makes you happy, girl. Go do your thing. Bullies are just insecure people acting up. You don't need to put someone down just to feel better about yourself. Don't be the kind of person who lives for gossip and body shaming. Life is too short. Make a difference in someone's life by flashing her a smile. Say a kind word. Give a nice compliment. It won't cost you anything, but it could change the course of her day. And that in itself is a positive force already. It's time to let girls sparkle with beautiful, bright possibilities. SkinWhite believes it's time to spark a change that's not just skin deep by letting girls inspire other girls. As an advocate for beautiful and bright possibilities, SkinWhite is taking a stand against negative issues that affect girls on campus through its U Spark advocacy. U Spark encourages college girls to speak up against shaming, gossiping, and bullying. Six girls from different colleges and universities will be chosen to become U Spark Advocates who can help spread goodness and kindness on campus—and encourage other girls to shine bright not just on the outside but also from the inside. Help spark a bright, beautiful change today. Visit www.facebook.com/skinwhite to learn more about U Spark.